I want to start our weblog with words of thanks to God for all the gifts we have received since the publication of the last issue, and once again our thanks to all those who have accompanied us in our journey as a Delegation. 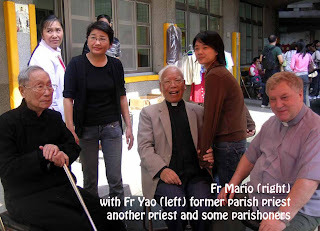 I especially remember such a great gift given us with the profession and ordination of some of our Korean brothers and the first profession of our novice from Mainland China, John Xueruijin. 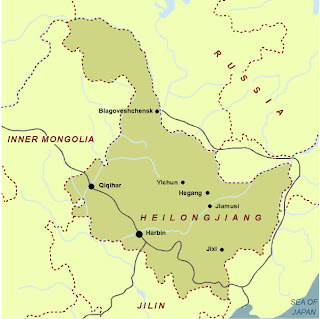 In the following articles you will find some of the recent events that have marked our journey as a Delegation in these past months. I would like to briefly recall three of these events that I had personally been part of, and are also very important for the whole Delegation. First, let me refer to the canonical visitation I did in September 2007, which left me with the impression of the strong missionary zeal all our communities have. It is wonderful to see everyone’s wholehearted dedication in responsibly carrying out the apostolic work entrusted to us. May the Lord and our Mother always accompany us that we may bring to completion according to the spirit of Claret the mission entrusted to us as a missionary community. 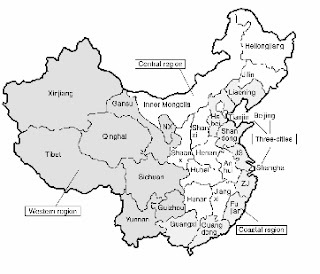 The second extraordinary event I want to mention is the solemn opening celebration of the bicentennial of Claret’s birth in Sallent and Vic on October 20 and 21. I was there with Fr. Shinji Takenobu. It was a real blessing to be able to witness in the very place Claret was born 200 years ago the universality of our Congregation today. I hope that this Bicentennial Year will be a year of grace for all of us, and also a time of renewal for our Delegation. 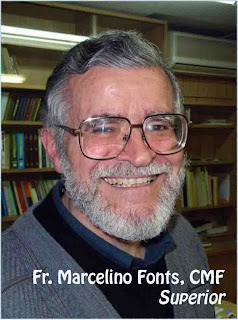 The third event is the one we have just celebrated here in Brazil, where I am writing these words to you: the Major Superiors Meeting in preparation of the next General Chapter of the Congregation in 2009. 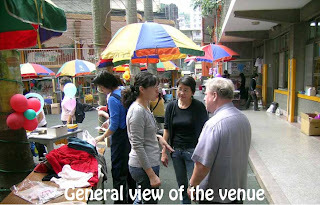 Here, in Sao Paolo, we experience the beauty of the multicultural face of our Congregation. 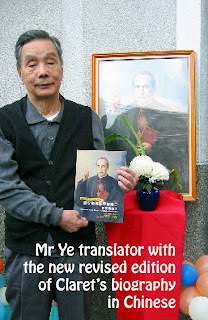 Such multiculturality in which we find ourselves in our present world, besides its human and spiritual richness, also brings with it great challenges for each of us as Claretian missionaries and for the whole Congregation if we want to bring to completion the universal mission entrusted to us. During these days when we gather as a Congregation, we realized that we need to deepen our understanding of and to live our Claretian identity in order to respond to these great challenges. May our Father Founder, especially during this bicentennial year, help us in this process of renewal and revitalization as we prepare for the coming General Chapter. 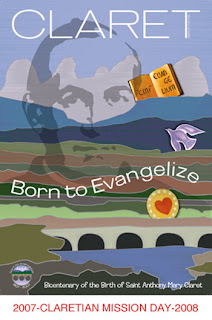 “Born to Evangelize” – this is the motto of the bicentenary. May this become for every member of our Delegation a call for greater realization of our Claretian missionary vocation. 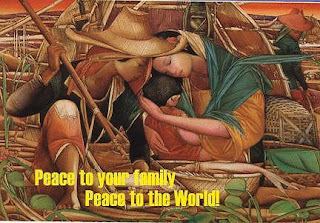 Therefore, I wish all of you a year full of the spirit of St. Anthony M. Claret! As our Delegation celebrates this year in every country where we are, may our celebration help us not only to know Father Claret better but also to live more intensely his missionary spirit today. 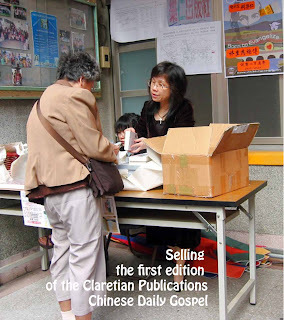 2) Pubblicazione della II Edizione –traduzione in Cinese- dell’Opuscoletto “San Antonio Maria Claret Archivescovo” sotto il Nuovo Titolo: “San Antonio Maria Claret Missionario Apostolico” in mille copie da distribuire non solo ai nostri fedeli ma pure alle sette parrocchie limitrofi di Keelung nonché al Clero e Religiosi di Taipei in occasione di Retiro Mensile o Coferenze. Quest’ultima celebrazione ci é capitata “ad hoc” per chiarificare ed approfondire l’esistenza e lo spirito del Claret trasmessoci nella e attraverso la Sua Congregazione ed altri Gruppi Clarettiani. 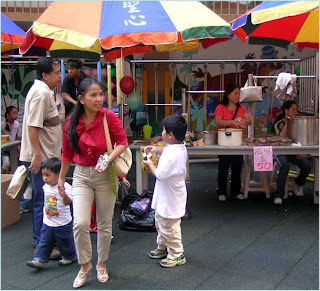 3) Preparare “una giornata attrente” (Colorful and Joyful Day) con invito aperto a tutti, vicini e lontani, cinesi o emigranti: Pesca di Benificenza e Bazar. La Benedizione del Signore con una bella giornata e la presenza di tanti amici coronarono “il tutto” con un giorno gioioso di famiglia, in un ambiente di spirito Claret: condividere beni spirituali e frutti di collaborazione fraterna da transmettre a Fratelli e Sorelle piú bisognosi in altri luoghi nel mondo: (3000 US$). In una lettera aperta indirizzata al P.Generale nonche al Procuratore Generale, i Rappresentanti della Comunitá, espressavano il desiderio di usare la piccola somma per la costruzione del progetto Clarettiano in Africa di un noviziato, augurandosi cosi di collaborare in qualche maniera alla formazione di nuovi misionari, allo stile del Claret: Propagazione della Fede in tutto il Mondo. 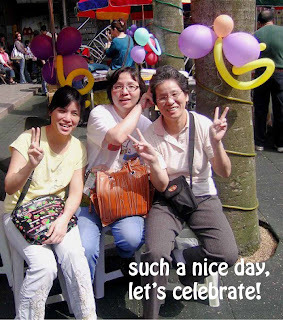 In a few and simple words, this is what our small Christian community has been doing during the year to commemorate his anniversary:1) A week of prayer centered in Claret, which ended on October 21, World Mission Day that was celebrated under the theme 2007–Universal Claretian Missionary Day–2008 (with the involvement of Caritas Taipei).2) Publication of the 2nd edition in Chinese of the booklet St. Anthony Mary Claret, Bishop and Apostolic Missionary. 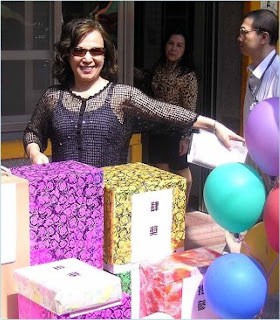 One thousand copies were distributed not only among the parishioners, but also in Keelung’s nearby parishes and among the priests who were present in the Taipei Diocese monthly retreat.3) Celebration of a parish festival, “Colorful and Joyful Day,” open to all, close and afar, Taiwanese or foreigner, highlights of which were the charity sale and the open market. 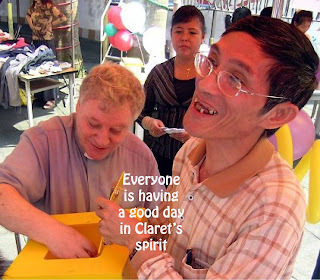 The parish festival was blessed by the Lord with a wonderful sunny day (something not so common in Keelung) and with the presence of many friends, which was a perfect and joyful family day imbued with Claret’s spirit. Pooling our resources and spiritual blessings in fraternal cooperation, and sharing our living faith with those around us and to the ends of the world, we collected USD 3,000 in total. 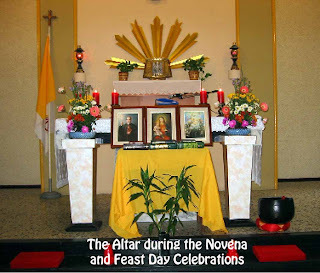 In an open letter to our General Superior, the President of the Parish Council conveyed our common desire: that this amount of money be used to sponsor the construction of a novitiate in Africa, helping in this way in the formation of new missionaries in the style of Claret.Let’s bring the Gospel to the ends of the earth. 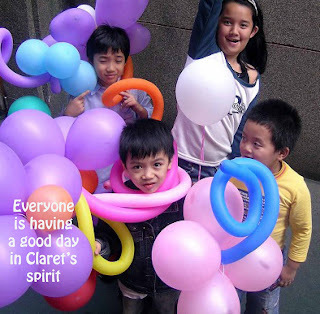 To celebrate the bicentenary of the birth of St. Anthony Mary Claret, the founder of the Claretians, a series of activities had been planned for this year. 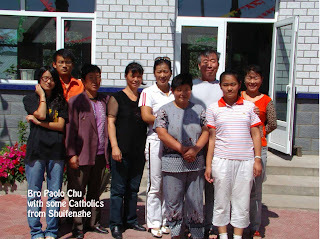 Upon the suggestion and encouragement of our pastor, Fr. 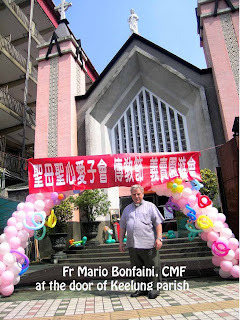 Mario Bonfaini, our Christian community held the first charity bazaar at Sacred Heart Church in Keelung, Taiwan, since the church was founded, with the proceeds for the people most in need. 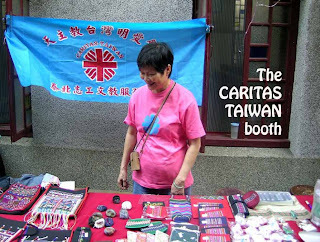 Without any experience in holding a bazaar, every member of the parish shared in planning and setting up the bazaar by offering one’s money, time or talent. Teachers and students of Sacred Heart Elementary School donated generously, even as our non-Christian friends also contributed enthusiastically for this cause of helping the poor in other parts of the world. 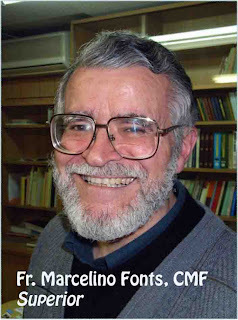 Special mention goes to our dear Fr. 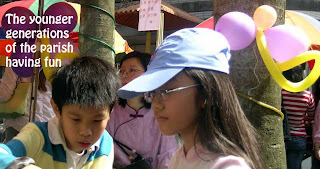 Yao, who founded the Sacred Heart of Jesus parish, for his financial assistance and the many religious items he gave to the bazaar, besides his encouragement and prayers. – Br. Joo Paul cmf.